Great place, friendly knowledgeable staff, good prices! Bryan Weber is a sixteen year veteran in the fitness industry. After completing a bachelors degree in Exercise Science from Southern Connecticut State University, Bryan worked in the Heart Disease Reversal Program at Griffin Hospital. 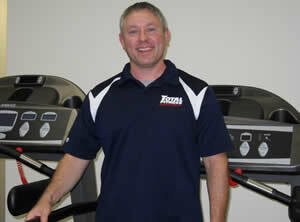 Bryan has dedicated his career to helping others achieve health and wellness. With his knowledge and experience, Bryan embraces the opportunity to help his clients achieve their health and nutritional goals. In his personal time Bryan enjoys cycling and time with his family. Bryan can be contacted at the Orange, CT location 203-283-9690. Gym fitness equipment comes in many shapes and sizes, and you certainly have a favorite machine that you might want to purchase for personal use. That’s where Total Fitness Equipment can be of service. 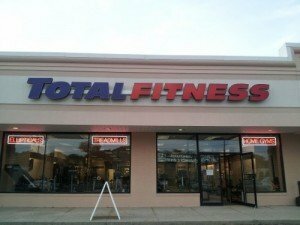 You can find the perfect equipment for your home gym or training studio at Total Fitness in Orange, Connecticut. We are a premiere gym equipment store serving Orange and the surrounding region. Within our inventory are trusted brands in the fitness industry, along with floor models, close-outs, pre-owned and refurbished equipment as well. Precor Fitness – including Precor treadmills, Adaptive Motion Trainers (AMT), certified pre-owned ellipticals and Cross-trainers, stretch trainers. Matrix Fitness – high-grade treadmills, ellipticals, upright bikes, and recumbent bikes. Vision Fitness Equipment – Suspension Elliptical trainers with or without inclines, upright bikes, and more. WaterRowers – residential and commercial rowing machines that come either made with wooden or metal bodies. Please keep in mind that items you see on the online website may not always match what is available within our current inventory. Please contact or call us in advance to ensure we have what you are looking for in stock. The Orange Total Fitness Equipment Showroom also has a repair service. Even if you did not buy your equipment from us, we are more than happy to give your treadmill or elliptical a tune up when necessary. Looking to purchase fitness equipment in Fairfield, Connecticut? Since our Orange, CT location is only 20 minutes away from Fairfield, we welcome all potential and returning customers our Orange, CT Total Fitness Equipment Showroom. We are positive that you will find what you are looking here, whether it is brand new exercise machines or repairs for something you already have. Contact us today with your questions or concerns. We look forward to hearing from you or seeing you in our showroom sometime soon.